Our outdoor banner display is the perfect solution for advertising in a small space. The Saturn 5 is great for forecourt advertisements. 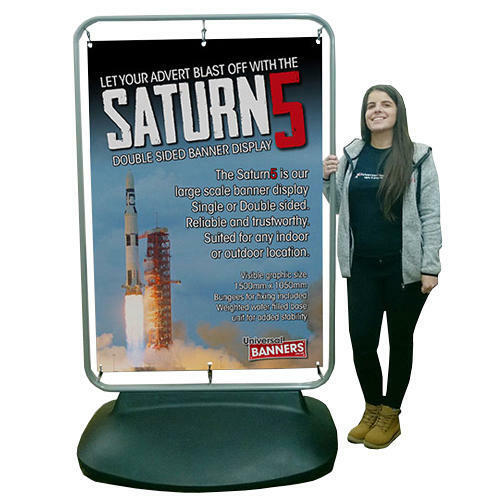 The Saturn 5 can be left outside long term without any issues, the banner is waterproof along with the heavy duty frame and base.